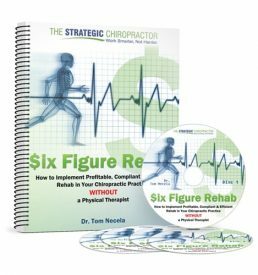 When it comes time to transition or sell your chiropractic practice, it’s understandable that every owner wants to get top dollar for their business. For many chiropractors, our business is our baby. Our patients are like an extended family or friends. We’ve put years of blood, sweat and tears into building this entity up and we can see the value in every corner of our carefully crafted chiropractic dream. Like an adoring parent, we tend to look at our practices with adoring eyes that leads us to place a good deal of emotional and intangible value on what becomes a tangible asset we are trying to sell. We overlook blemishes big and small. Many chiropractors go so far as to place value in unrealized potential – and want buyers to pay for it. They acknowledge that they are old, tired, stuck in their ways and that they haven’t tapped all the true riches that are hidden inside the practice. While that’s probably true for most practices, the mistake begins brewing when then a leap is made to try and “sell the invisible” to buyers. In other words, the chiropractor rationalizes that because of all this untapped potential, their practice is worth more. They boast of all the patients who could be recalled to produce thousands. They explain that they are very “conservative” in their treatment plans and some young, energetic doctor could easily expand revenues – if they only made the effort. 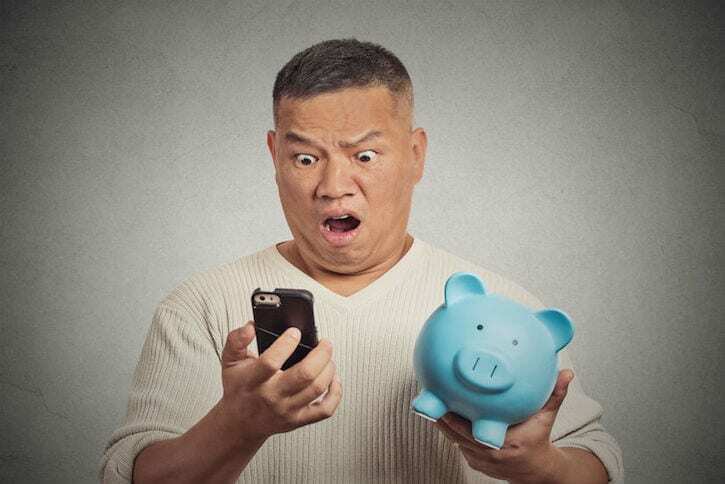 Is there potential your buyer can recover that lost revenue? Sure. But that’s their sweat equity, not your value. To be blunt, your best payout is based on your practice’s recent performance on the books (generally, the last three years). Not in theories, potential and possibilities for the future. Practices that sit on the market for long periods of time create a perception that something is wrong with them. There may be nothing actually wrong. But a buyer that sees a practice for sale for many months or years begins to (falsely) conclude that there is. This is primarily due to the fact that most people’s only experience with a similar marketplace is purchasing their home. And while it may be true that homes on the market for a long time may have something wrong, practices are a different animal. It’s much harder to find a buyer for a chiropractic practice than it is to find a buyer for a home. A business owner may never move their practice or if they do, they must be very careful so that they don’t lose patients in the process. Homeowners can literally pack it up tax free every two years and as long as they are still within a reasonable commuting distance to their workplace, face very few consequences to their move. Excessive Negotiations destroy goodwill. While most transactions incur some negotiations, overpricing your practice creates more negotiations than necessary. When you’ve inflated the price, you start your sale on the wrong foot. The buyer might like the business, but they don’t like the price. Of course, there are likely other things they don’t prefer either and so, the overpriced practice creates what feels like an endless stream of items to negotiate. This wears out both buyer and seller. And in most cases, it’s not a case of the survival of the fittest. On the contrary, a worn-out buyer and seller are non-buyers and non-sellers. A distrust or bad taste begins to emerge and it’s tough to do business with someone whom you dislike – especially when the business involves your baby. Overpriced Practices Don’t Always Get a Second Chance. The old adage “you never get a second chance to make a first impression” rings true here. If your practice is overpriced, there are buyers who will pass it by and never take a second look. Is that always the case? No. But why take the risk. The first solution is to abandon the idea that you can “fake it until you make it.” The primary problem with most practices being sold by the diehard do-it-yourself owner is that they have overpriced the practice and/or that they have no clue about the price. When we work with transition clients, we take a different approach and give owners a dose of reality. I’d rather be upfront with a seller (and buyer) and price the practice fairly than “shoot for the moon” only to get shot down and lose. Getting a proper valuation gives you a good basis for your pricing. There will be small variations in all appraisals or valuations, but you will avoid the extremes of “back of the napkin” or ballpark formula valuations that many DIY owners tend to inflict upon themselves and their practice. Your transition is not a transaction where one party can or should claim victory over the other. Certainly, we want to create an attractive transition for you, the seller; but it’s also got to be equitable. The good news is that there are many ways to create a win-win transition beyond just the sale value of your practice. But this generally requires you to enter your transition with some foresight and planning. Fire sales don’t leave you much leverage and there’s not a whole lot of time to launch a creative solution if you have to rush through your transaction to hurry up and sell your practice. This is one of the biggest investments of your life and likely one of the largest sales you will ever make. Take the time to do it right and don’t fall prey to emotions, fast-talking buyers or slick salesman who say what you want to hear. Now, more than ever, this is the time to work SMARTER in your practice and that means getting help where and when you need it! Interested in selling or transitioning your practice for maximum value? 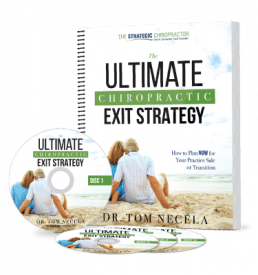 Check out our upcoming Exit Essentials Webinar to discover the 10 Factors That Affect Your Chiropractic Practice Sale or transition Value – and to learn what mistakes to avoid!